Photos from "22nd Podgorica marathon -2015" can be seen here. Second part of a photos from "22nd Podgorica marathon -2015" can be seen here. 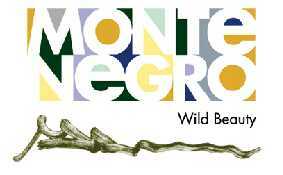 Deadline for the race applications is extended until Friday-23.10.2015. 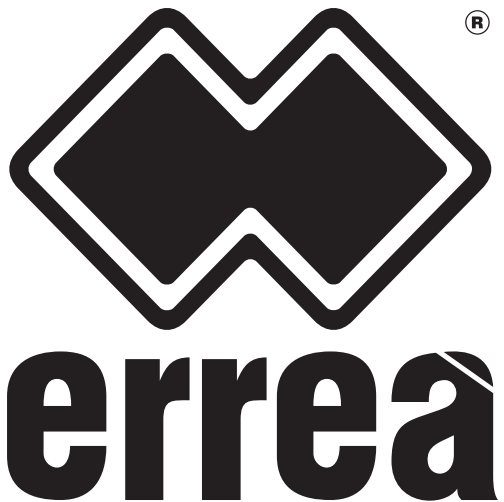 24:00h. Competitors start with the marathon runners on Sunday 25 October 2015 at 09:00 hours from the Republic Square. 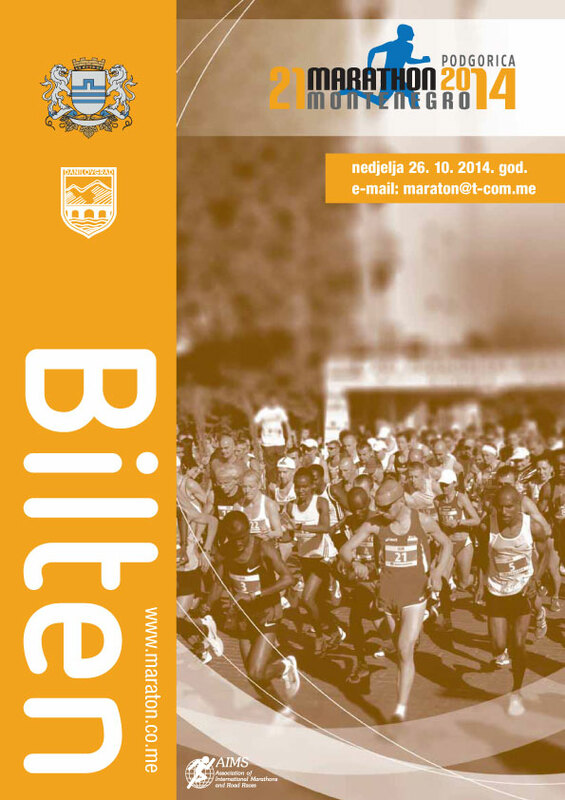 Taking of start numbers for competitors from Montenegro is on: 20,21,22 and 23 October 2015 in the Office of the Directorate marathon "Moraca" (Atletski Association of Montenegro) in the period from 10-15:00 hours. Competitors from abroad can take numbers on 24 October - Saturday from 11-20: 00 am in the Registration Centre - hotel "CITY" in Podgorica. 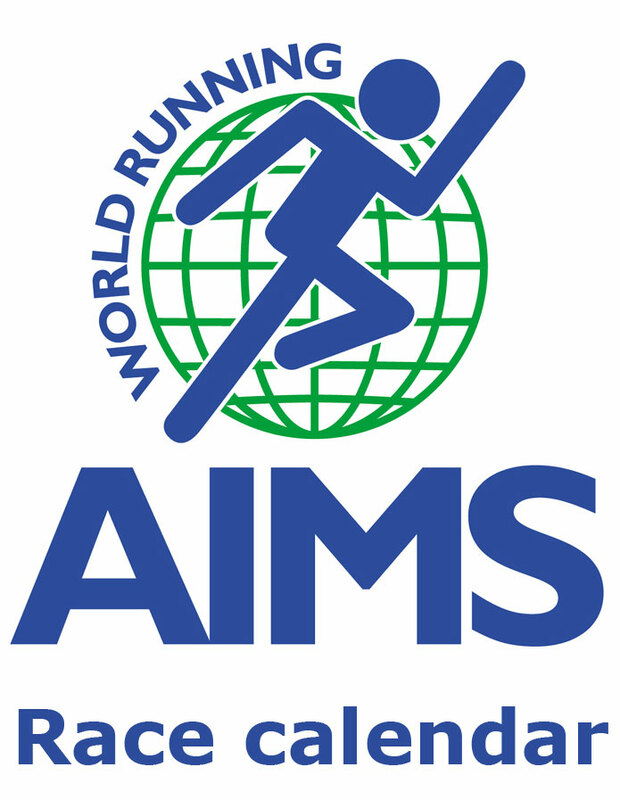 All information on the race and manner of taking numbers can be can be obtained by the Directorate: Milena Vuksanovic (tel.067-218-456) .Runners must have the chest numbers that is green for race participants at 5.000m and yellow color for race participants at 10.000. Organizatator printed 400 numbers ofr the race. The first 200 athletes who sign up by start list for 5km and 10km race will receive T-shirts with the logo of the race-marathon. T-shirts are given with starting numbers for the race. Ordering of apllications is stated in START LIST. Closing ofStart lists for the half marathon and marathon is on Friday-23 October 24:00 hours. European Athletics President Svein Arne Hansen and First Vice President Dobromir Karamarinov attended the 22nd Podgorica Marathon on 25 October as part of their visit to Montenegro. President Hansen, who was welcomed by the Mayor of Podgorica, Slavoljub Stijepovic, and President of the Athletics Federation of Montenegro, Milorad Vuletic, was impressed by the organisation and popularity of the event. 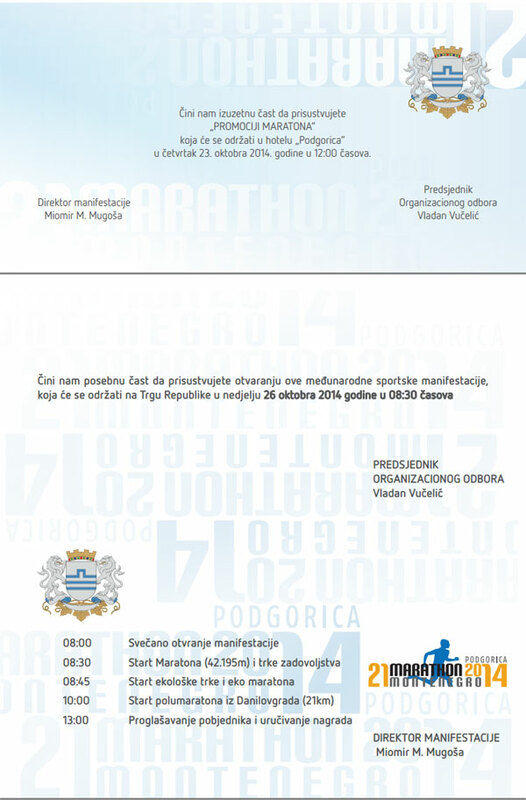 Friends of Podgorica maratho - ULTIMATE NUTRITION will provide gifts for 31 participans on marathon and halfmarathon. This year timing will be done by CHAMPIONCHIP CROATIA-CHAMPSTAT. 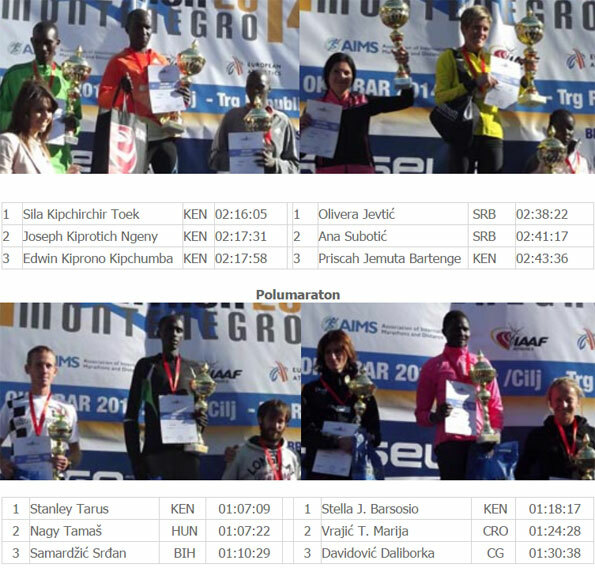 Official results of Podgorica marathon can be seen here. 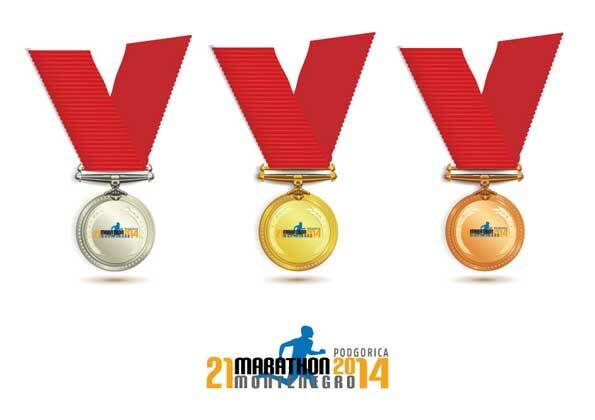 Official results of Podgorica half marathon can be seen here. Official results by categories can be seen here. Video from marathon and half marathon here and here. 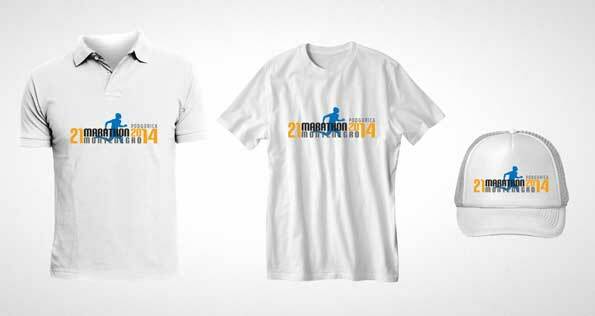 T-shirts without collars get all participants in the event (marathon and half-marathon), and T-shirts with a collar POLO AND HATS receive as a reward the top 20 competitors in the overall standings in the marathon, as a awad by ORGANIZER (winner receives a red shirt and a second competitor gets blue shirt). Competitors who want to buy or book shirts (only in white) must apply by E-mail to organizer stating the size of shirts and caps twenty days prior to the event and will receive info aboutpricing and payment instructions. Официальные результаты марафона можете скачать здесь. Официальные результаты полумарафона можете скачать здесь. Официальные результаты по возрастным категориям можете скачать здесь. Видеозапись марафона и полумарафона можете посмотрть здесь и здесь.